Portland Port’s Local Port Service (LPS) is manned on a 24/7 basis, 365 days per year by Portland Harbour Authority´s team of Marine Officers. 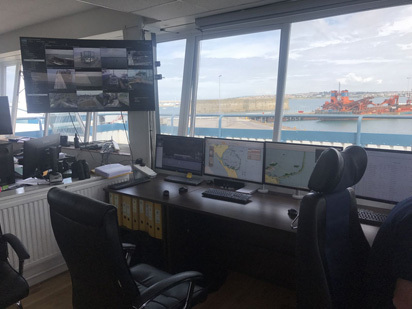 It allows for constant monitoring of all vessel movements both within Portland Inner Harbour and Portland Outer Harbour, including the pilotage area from White Nothe to Grove Point. The Provision of LPS is designed to improve port safety and the co-ordination of port services with the port community by dissemination of information to vessels and to berth and terminal operators. It is mainly concerned with the management of the port by the supply of information on berth and port conditions. The provision of LPS also acts as a medium for liaison between vessels and stevedores and other port services, as well as providing a basis for implementing the port emergency plans when necessary. 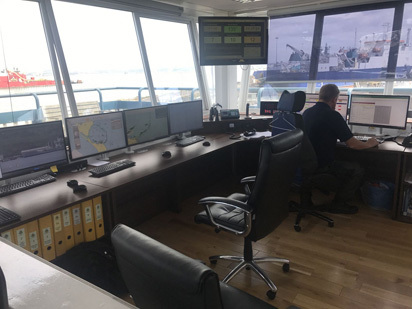 The LPS staff have at their disposal a range of sensors to assist them in their work, including Radar and Automatic Identification System (AIS) with coverage stretching many miles out to sea enabling them to monitor vessel movements well before their arrival. Additionally, the LPS operators utilise CCTV cameras which cover all harbour areas. A CCTV camera located on the breakwater is capable of automatic tracking of any vessel by AIS and radar.